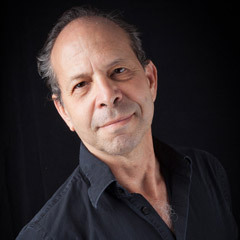 Chris Rozé’s music has been performed in New York, Boston, San Francisco and Los Angeles by the Atlantic String Quartet, Earplay, the Boston Chamber Music Society, Music Mobile and other new music groups. His clarinet quintet, Crisscross, won the 1989 New England League-ISCM Composition Contest, and his duo for saxophone and marimba, Jitterbug/Ballad, won second prize in the 2001 Percussive Arts Society Composition Contest and is published by Alto Publications, U.K. He won a BMI Award and has also received grants from Meet the Composer and the National Endowment for the Humanities. Rozé holds a master’s degree from The Juilliard School and a DMA from the USC Thornton School of Music. From 1979 to 1992, he was the chairman of the composition department at the Boston Conservatory. Three-time recipient of the NEH Summer Seminar Stipend for study with Leonard Stein at the Schoenberg Institute (1983), Allen Forte at Yale (1986), and Lewis Lockwood at Harvard (1989). Jitterbug/Ballad for saxophone and marimba, Alto Publications, U.K.